In 2017, we’ve already seen OPEC cut oil production, a ramp up of activity in hot spots such as the Permian and a slightly positive shift in overall sentiment of the oil and gas industry. And while industry employment has steadied, many of the some odd 440,000 laid off workers are wondering when the faucet on hiring will be turned back on. So Rigzone sought out industry professionals who have their hands on recruitment to do a pulse check on hiring and employment in the industry. Jeff Bush, president of CSI Recruiting, offers insight into what’s happening in the scope of industry recruitment. 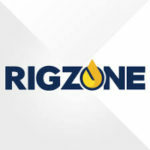 Rigzone: How has oil and gas recruiting activity changed now from six months ago? Bush: Activity is up from six months ago, by about 40 percent in terms of open positions we’re actively recruiting for. The process is slow, with hiring decisions often stretching into one to two months even after identifying a short-list of solid candidates. Offers do come, but they are slow in coming. Rigzone: Are there any specific skillsets in high demand right now? Hard-to-fill positions? Bush: Reservoir engineering continues to lead the pack. The ‘hard-to-fill’ comes when a client demands that candidates be working in a full-time job to be considered. Many of those who have survived the downturn and stayed employed this whole time are hesitant to make a move right now. Rigzone: Many in the industry fear there’s a talent squeeze or shortage of skilled labor now that activity is picking up. Is this also what you’re seeing from your end? Given all these factors, when the industry returns to even a decent level of domestic drilling and operations activity, there’s not going to be enough talent to cover all the needs. Rigzone: What’s the most positive sign you’ve seen in 2017? Bush: Continued deal flow. Every transaction creates churn in the market, and churn is great for hiring. We need to see some of the larger independents start to staff up, but that will come. Rigzone: What are your industry employment predictions for the next six months? Bush: The next six months will be steady – we’re not predicting a huge uptick in hiring activity, but once we get closer to the end of the year, we’re anticipating that the larger firms will start to bring on new people and that will signal the beginning of the real recovery.